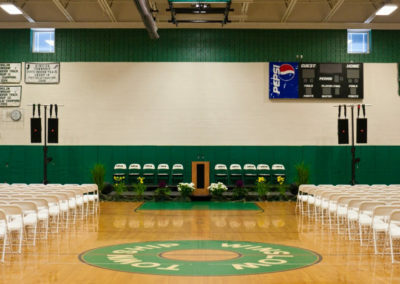 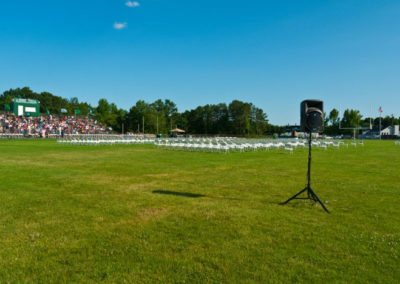 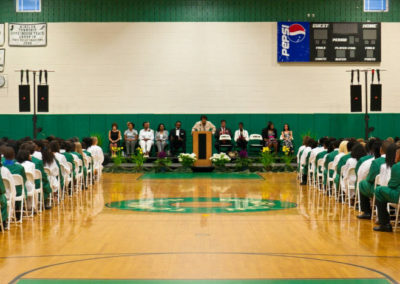 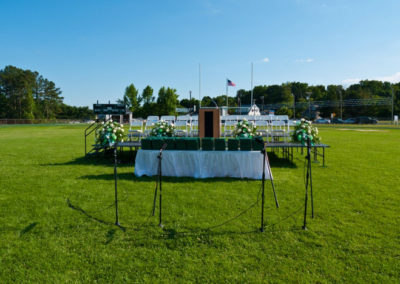 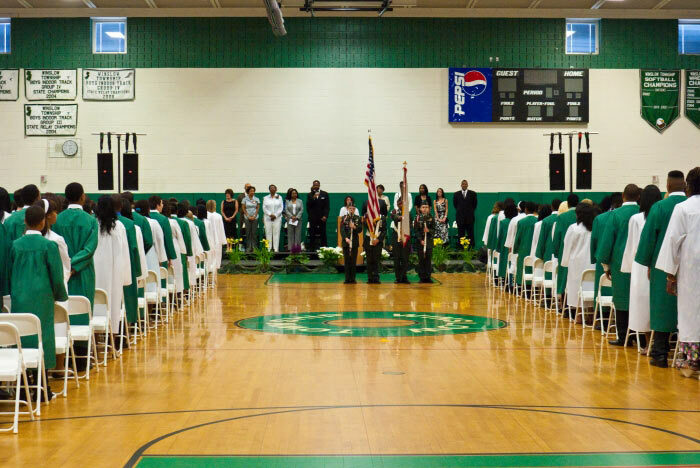 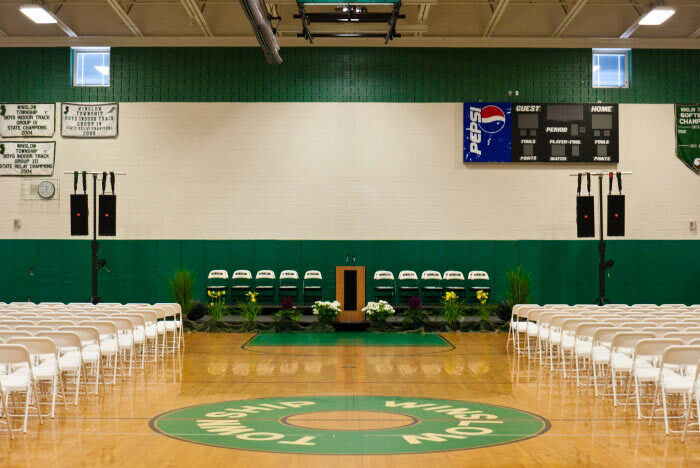 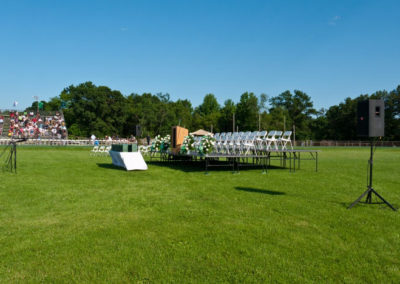 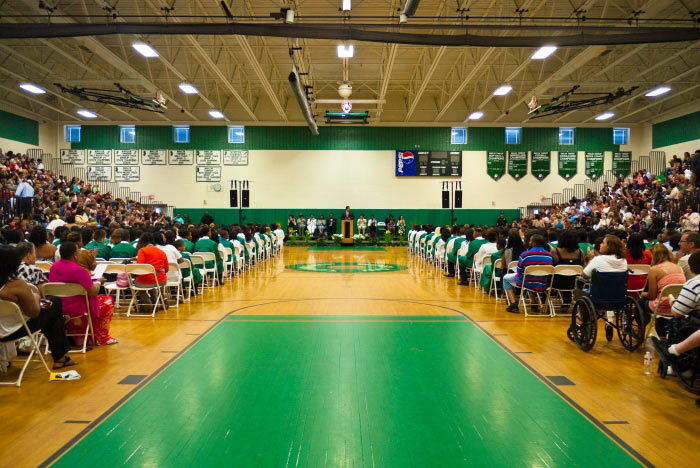 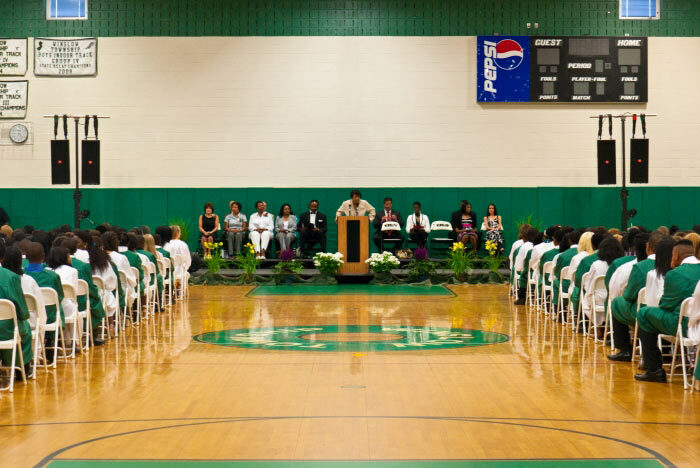 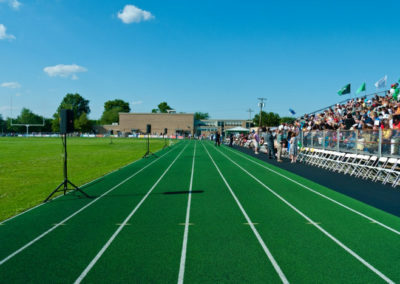 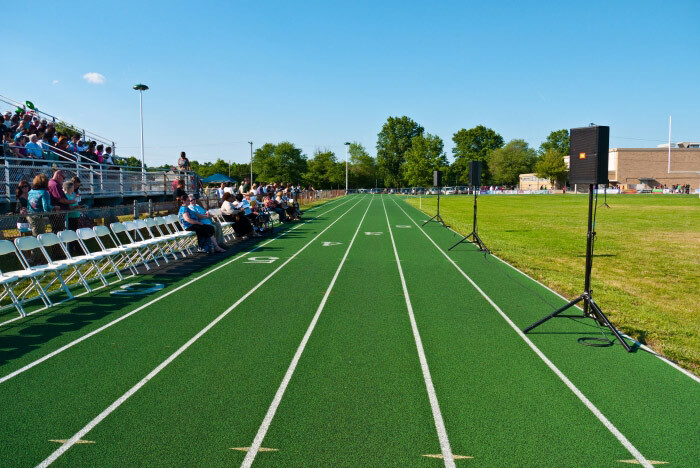 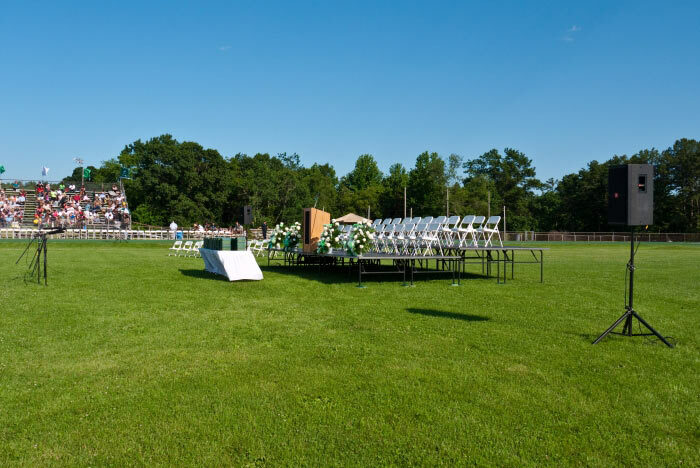 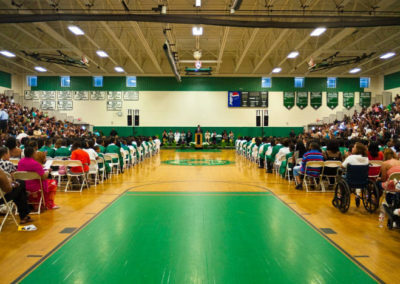 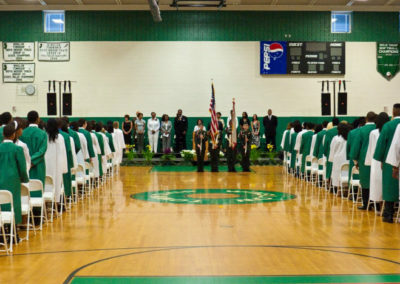 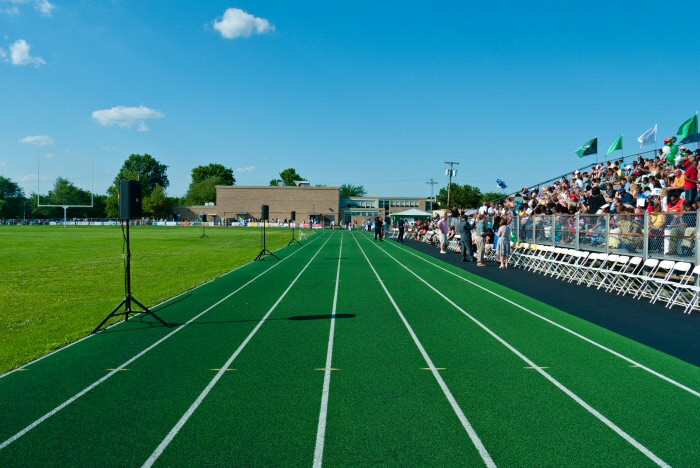 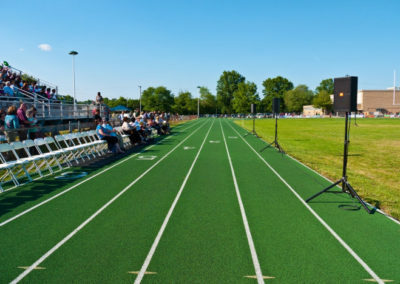 The middle school graduation was held in the gym, while the high school graduation was held on the football field outside. 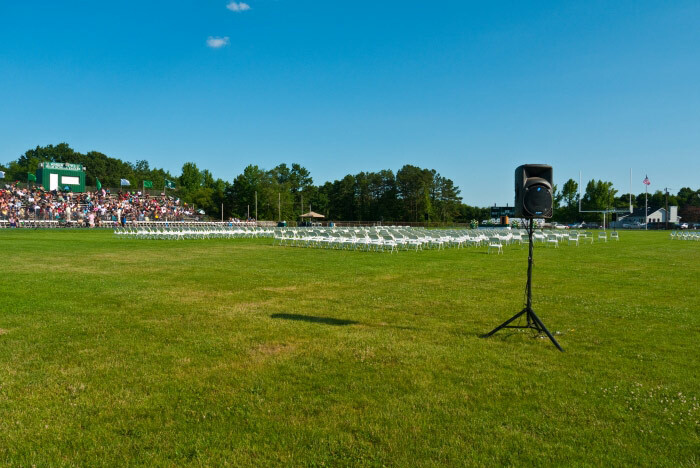 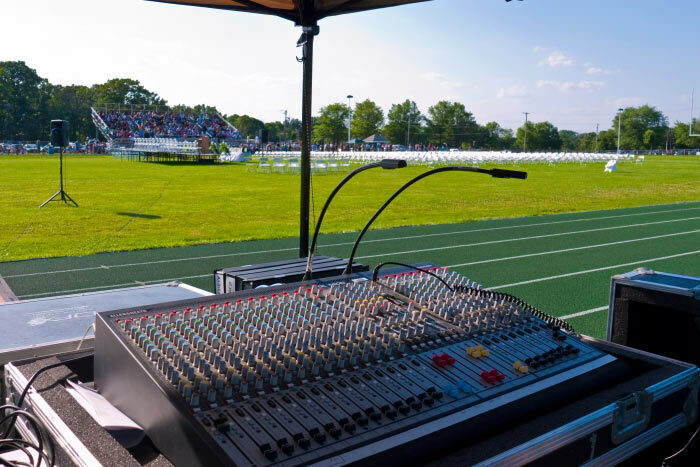 For the high school graduation, we provided a full sound system to broadcast the ceremony to both the audience and the graduates. 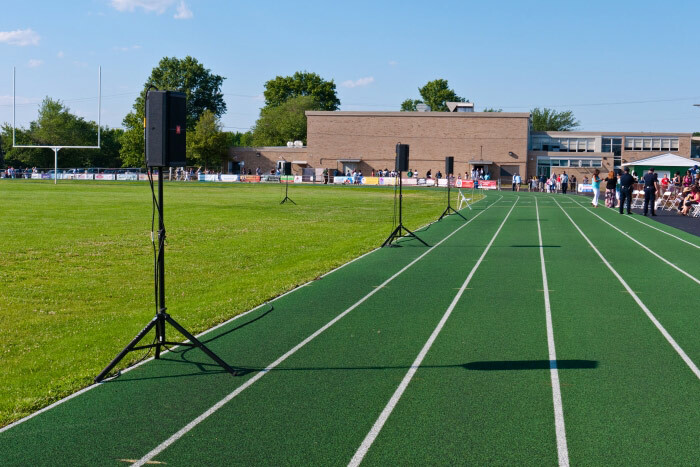 The system included 8 JBL and 4 Mackie speakers, plus microphones for the podium and the choir. 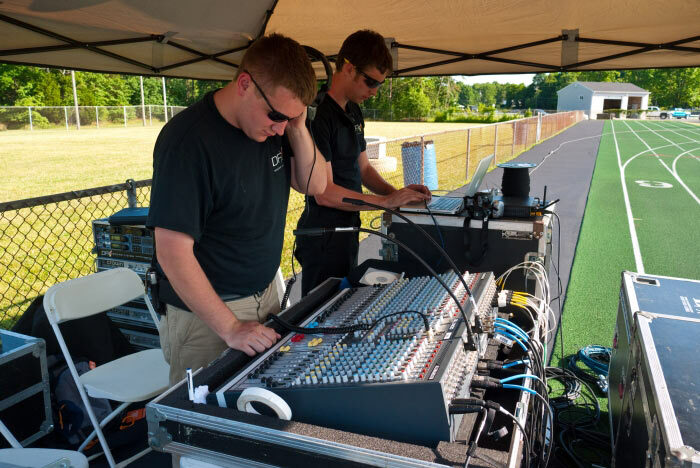 Our audio engineer and an assistant ran the sound during the ceremony. 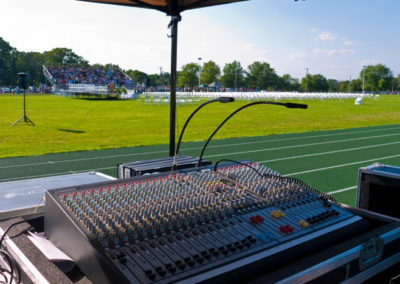 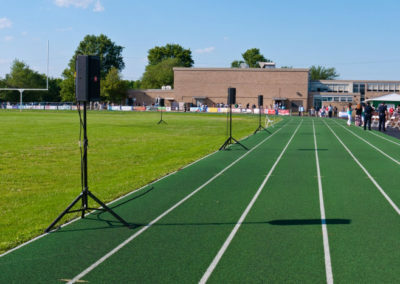 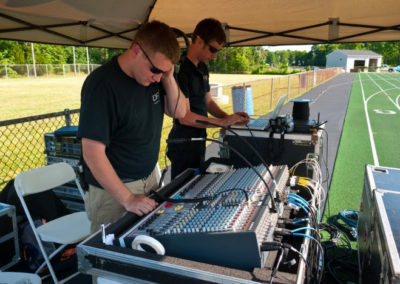 The middle school graduation included 6 JBL speakers and microphones for the podium, plus an audio engineer to run the sound during the ceremony.